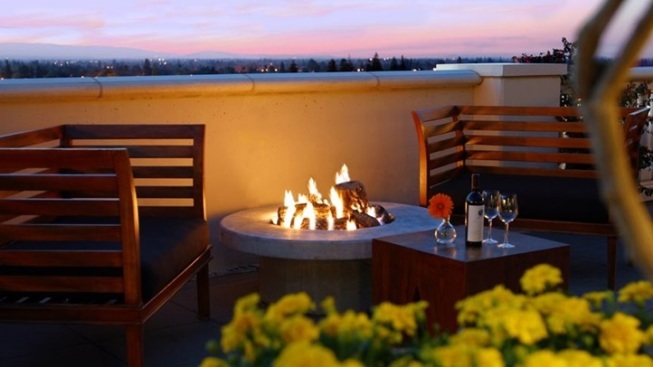 Haunt the Winchester Mystery House then stroll up the street for a night at the luxe property. Book a night at the Santana Row stay-over and get two tickets to the Winchester Mystery House Candlelight Tour. STAY & SCARE PACKAGE... that's designed for guests hoping to spend a haunting evening at Sarah Winchester's fabled abode and find a nice room for the night. The package is good on Friday evenings in October, or Halloween, and it includes two tickets to the Winchester's Candlelight Tour as well as a "(g)ift at check-in from the Winchester Mystery House." Ohhh, intriguing. Other perks, like a continental breakfast for two people and an autumnal libation (think cider or such) shall keep those in search of spirits sated. Starting price, sans tax? It's $334. Being able to stroll back to your hotel room post-Winchester, the better to tuck up for the night and dream of all of those twisty corridors? That's pretty nifty. And is there really a waffle-weave bathrobe in your room, just made for lounging as you ponder your adventures at the Winchester Mystery House? There is, you betcha. Nothing eerie about that, just comfy-cozy room time, the best kind of time after visiting one of the world's most celebrated spooky attractions.